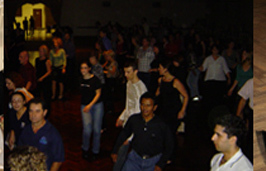 Our 7 week Ballroom courses are $150 per person. Private lessons are available at $95 per hour (You can split that cost with a partner!). Students who attend a weekly private lesson can join our social classes free of charge! Dance styles at Danza Pasion: Street Latin (Salsa, Merengue, Bachata), Latin (Cha Cha Cha, Rumba, Jive, Samba), Ballroom (Waltz, Tango, Quickstep, Foxtrot, Viennese Waltz), Children, Bridal, Argentine Tango, Special Needs, and Zumba®. Ballroom classes cover both modern styles (Quick step, Foxtrot, Waltz, Tango) and Latin styles (Samba, Rumba, Jive and Cha Cha). 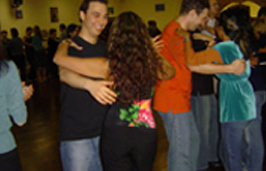 The more complex styles in the foxtrot, tango and samba are taught in the intermediate and advanced classes only. Start Dates 2019: 30th Jan, 20th March, 8th May, 26th June, 14th Aug, 2nd Oct, 20th Nov.